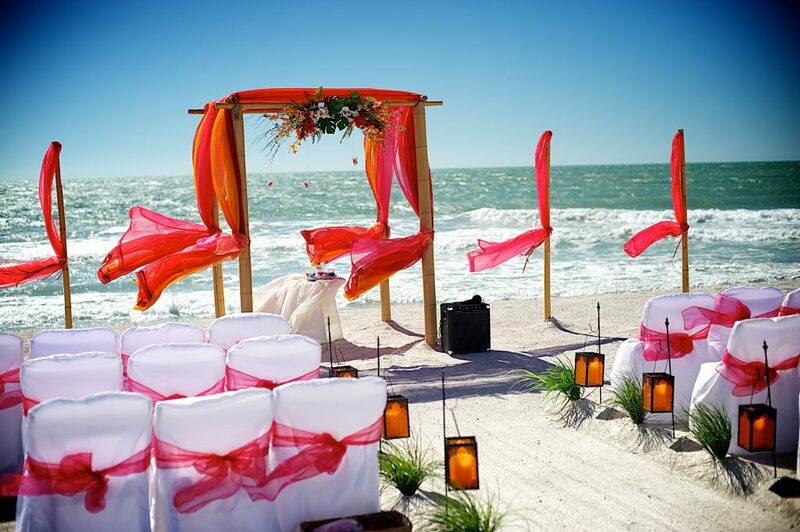 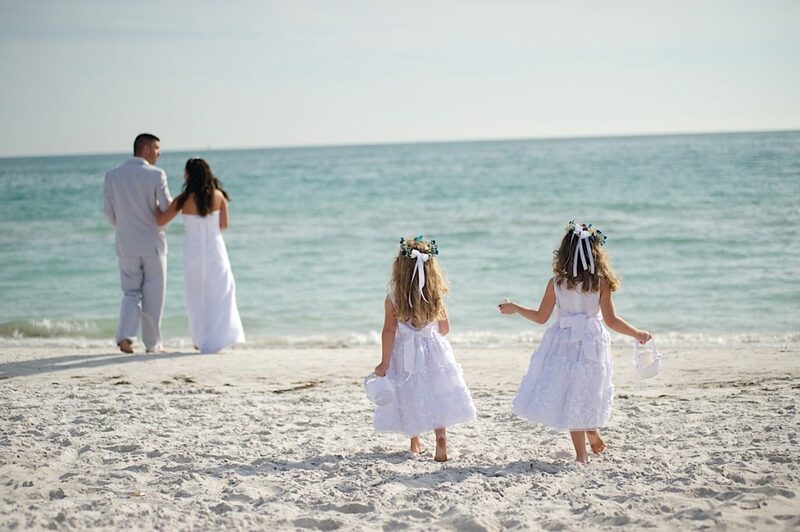 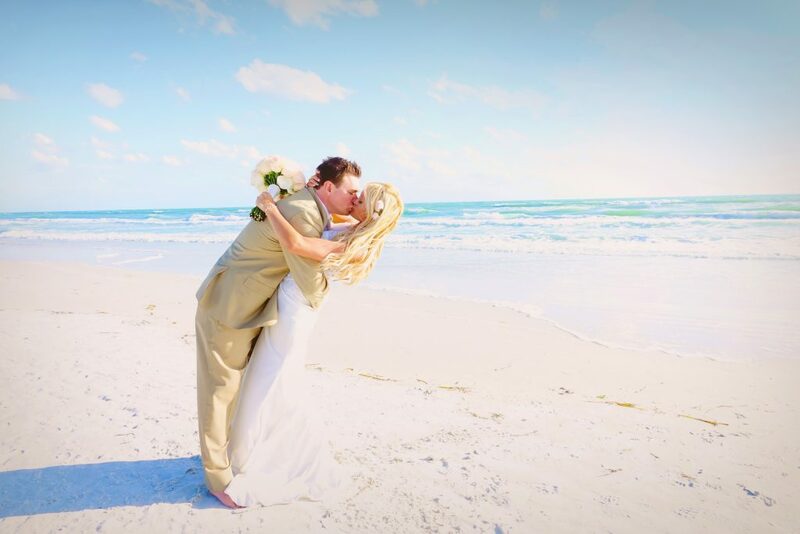 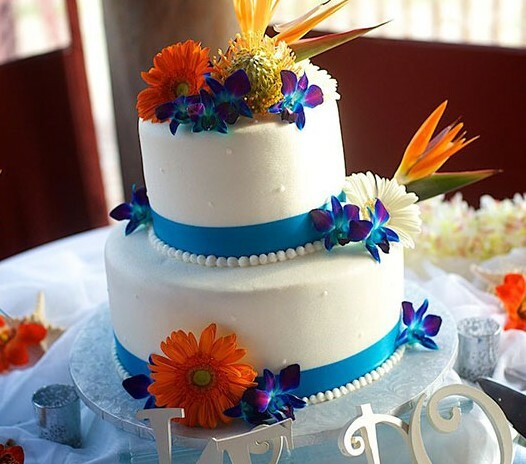 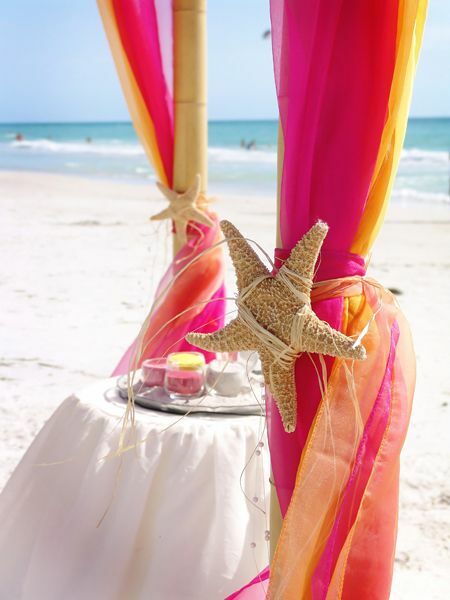 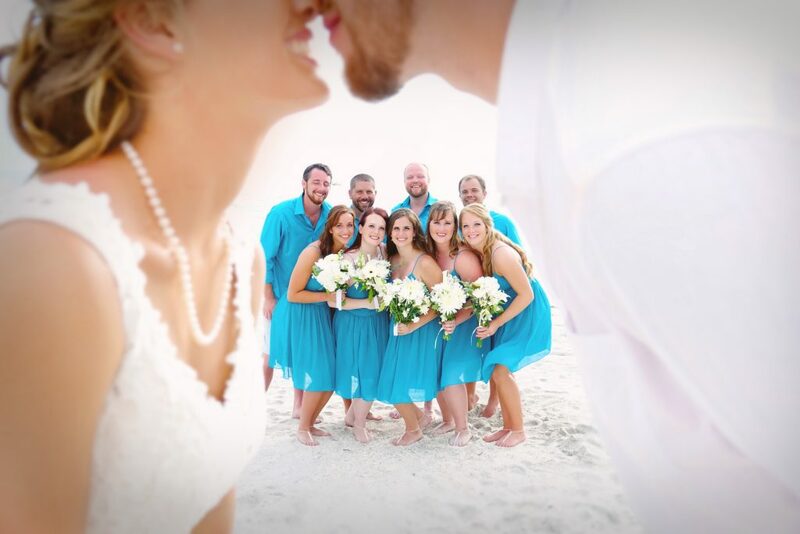 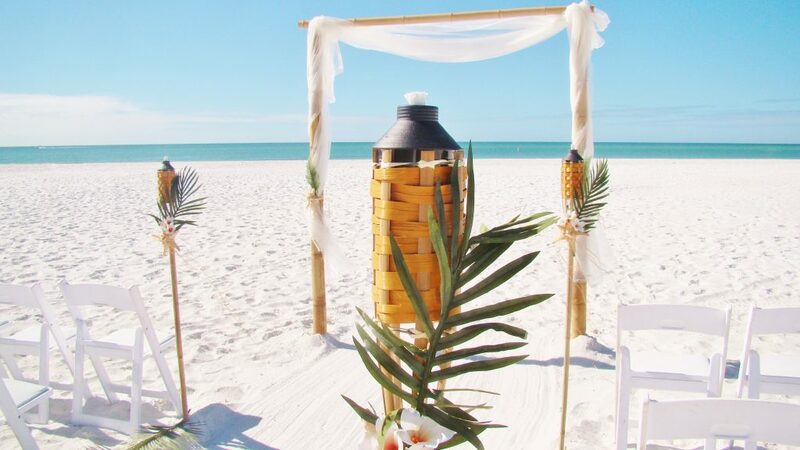 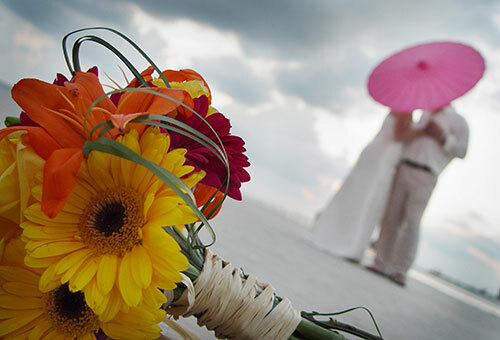 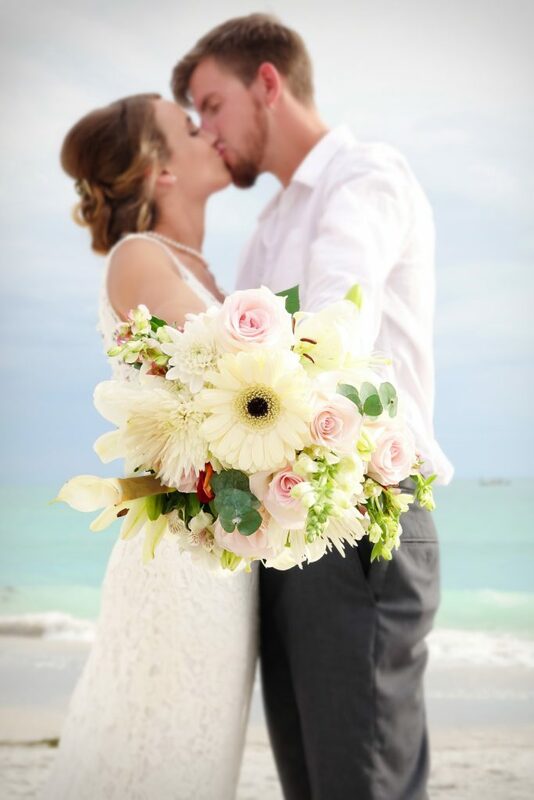 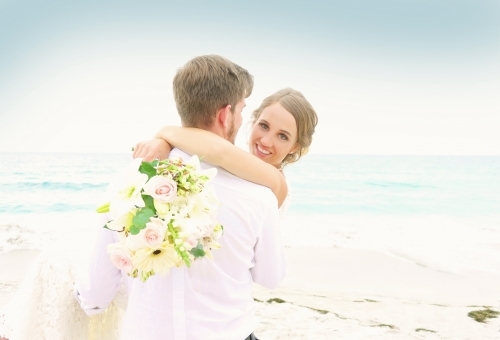 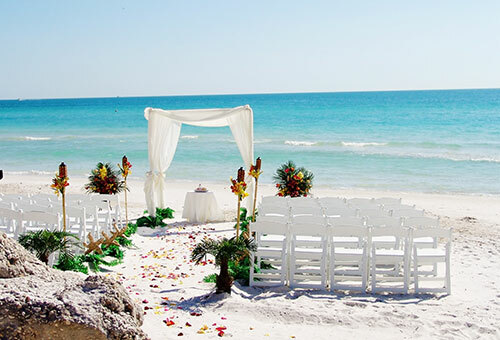 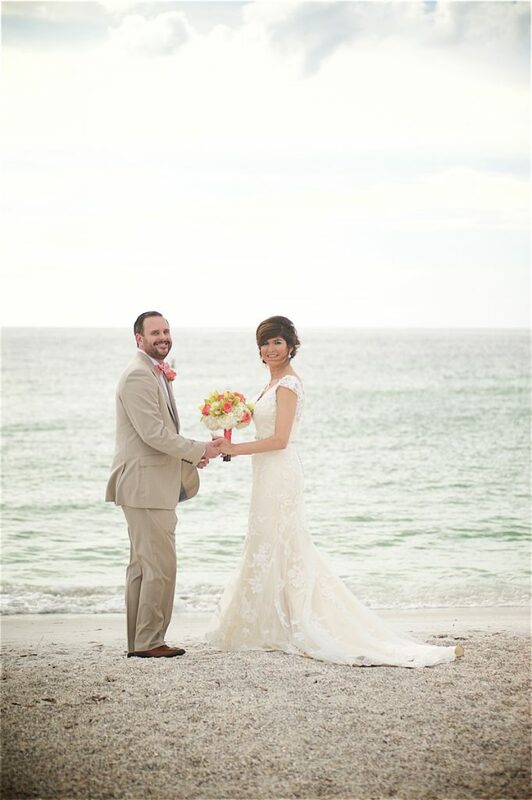 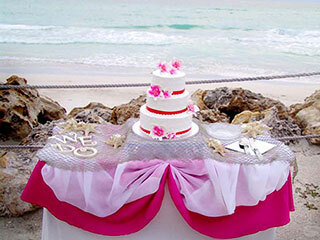 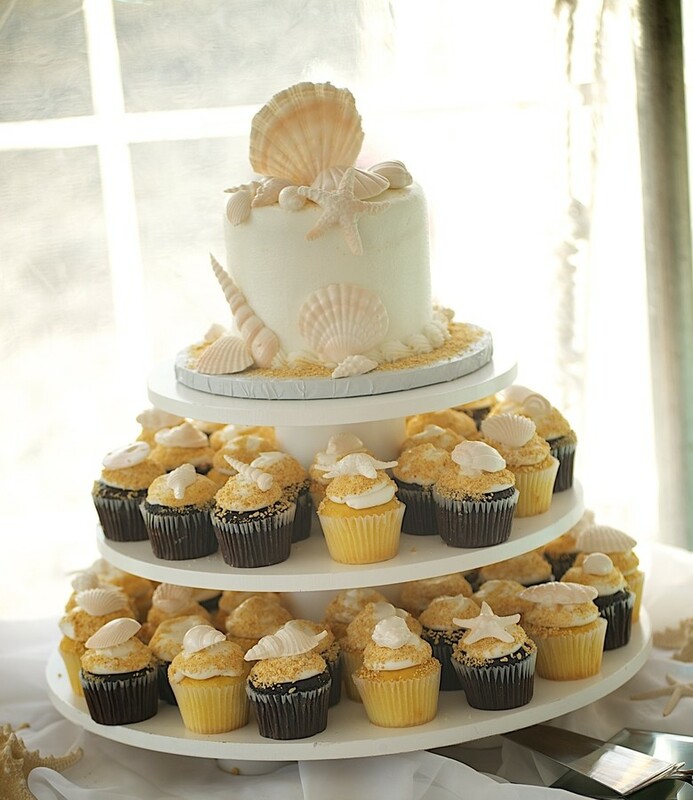 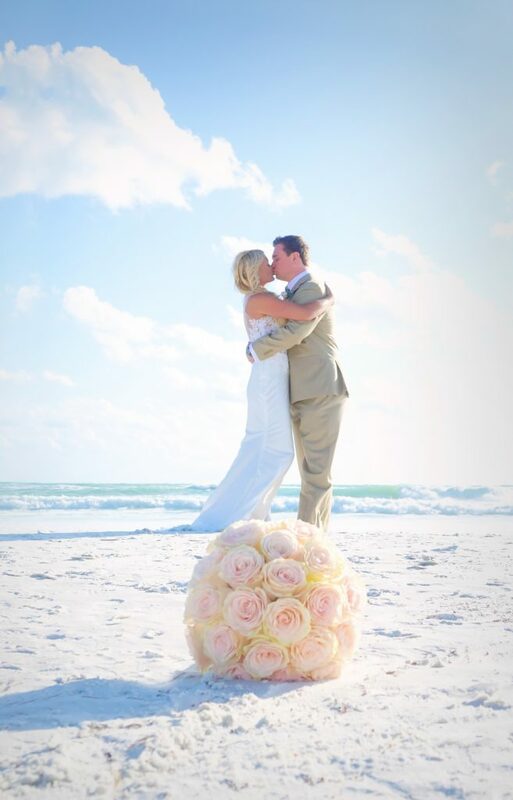 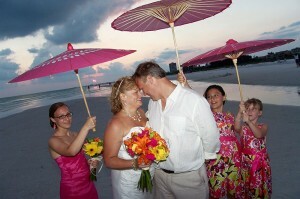 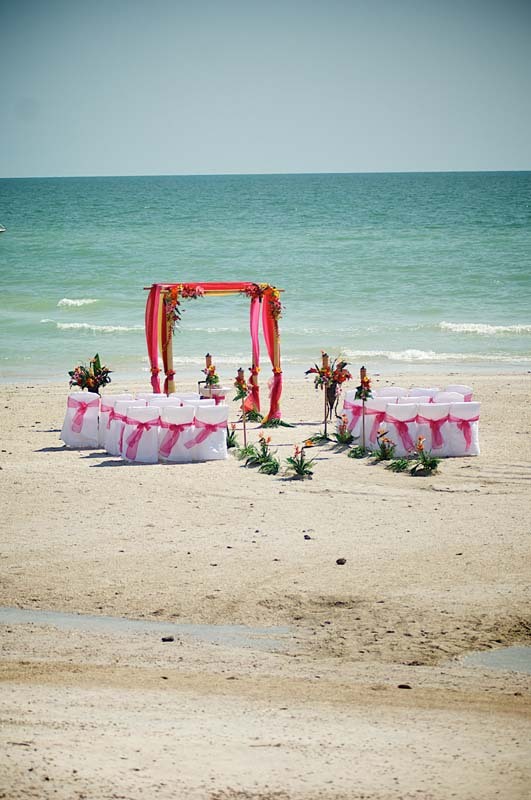 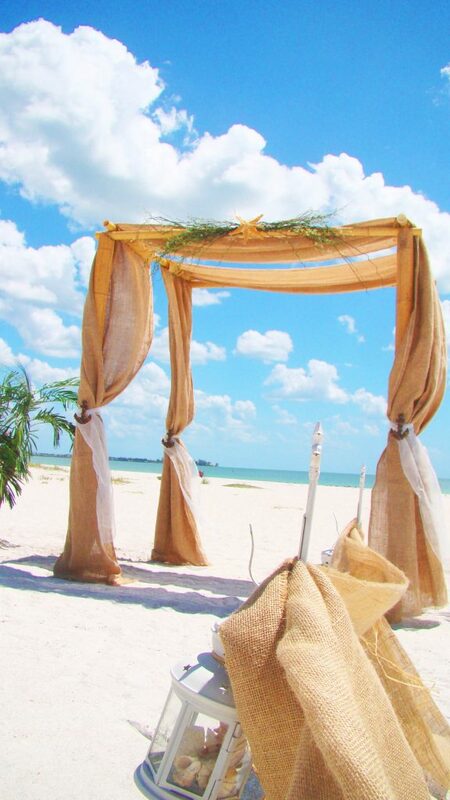 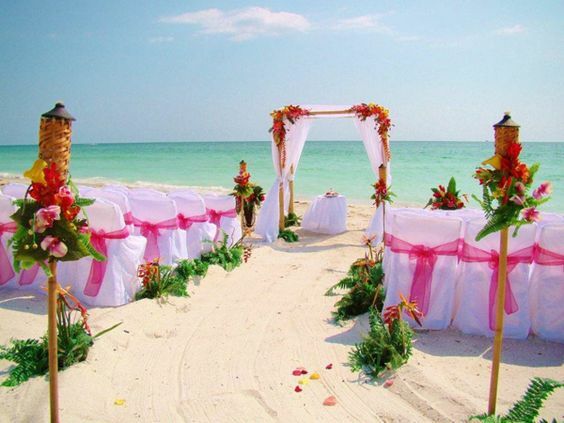 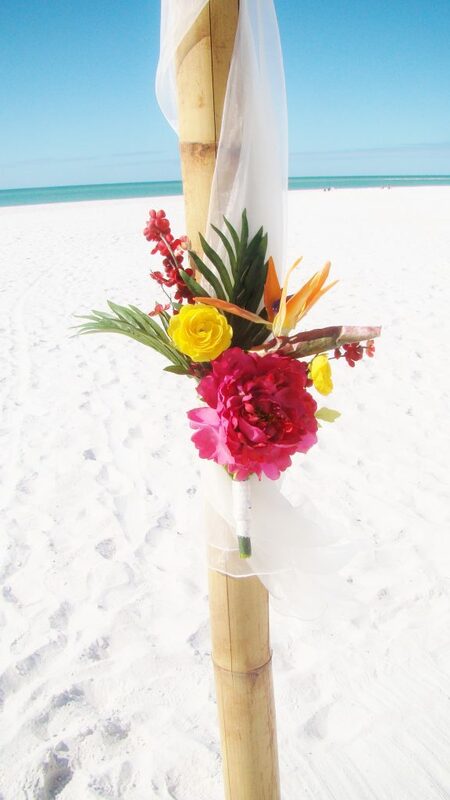 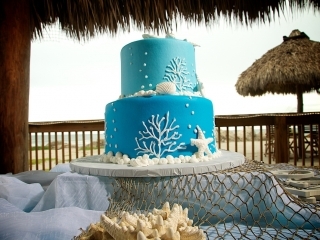 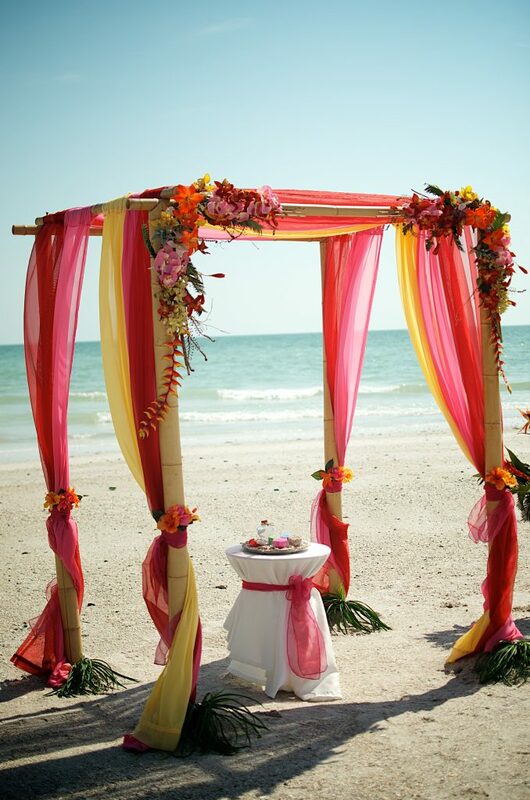 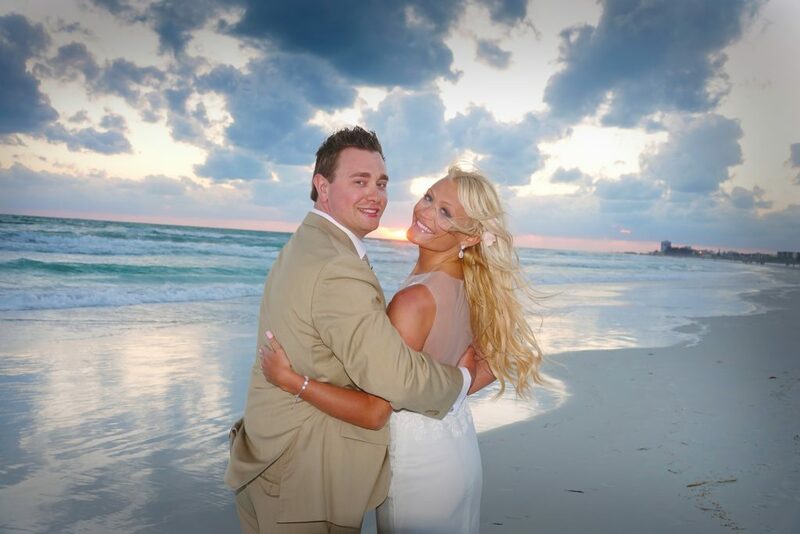 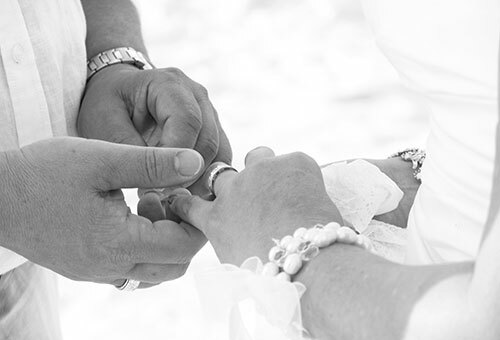 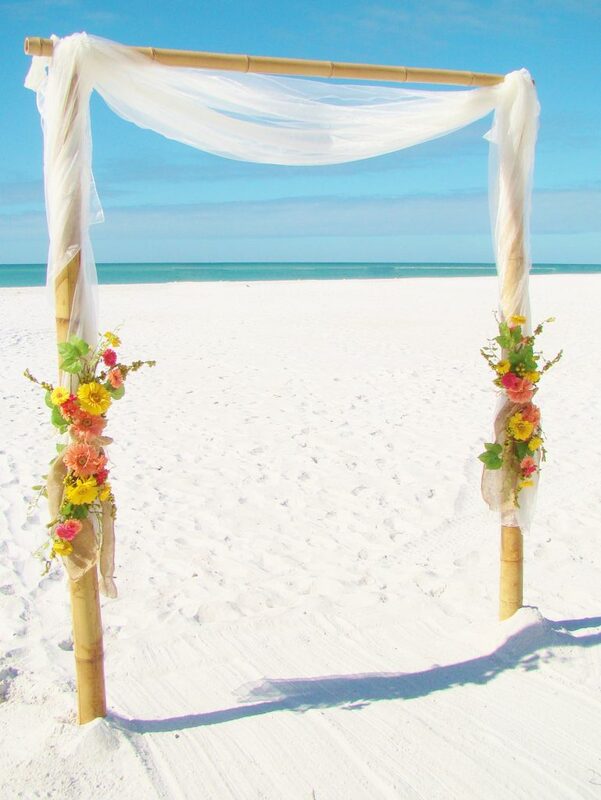 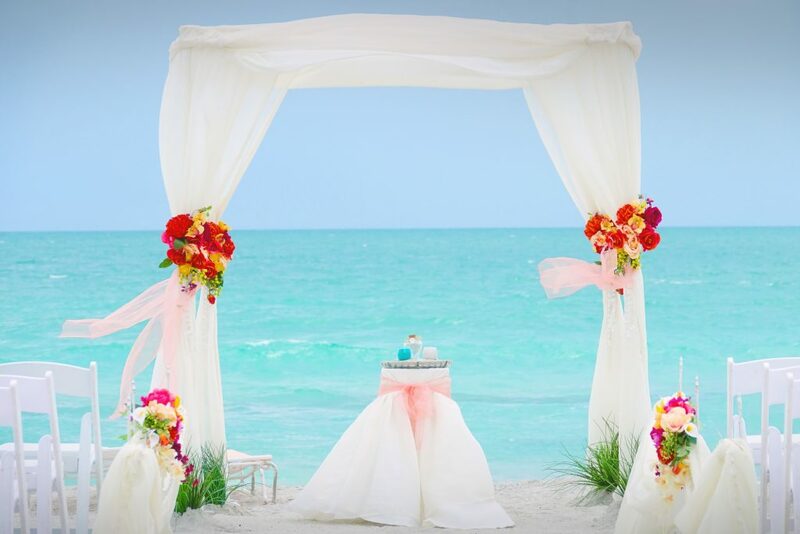 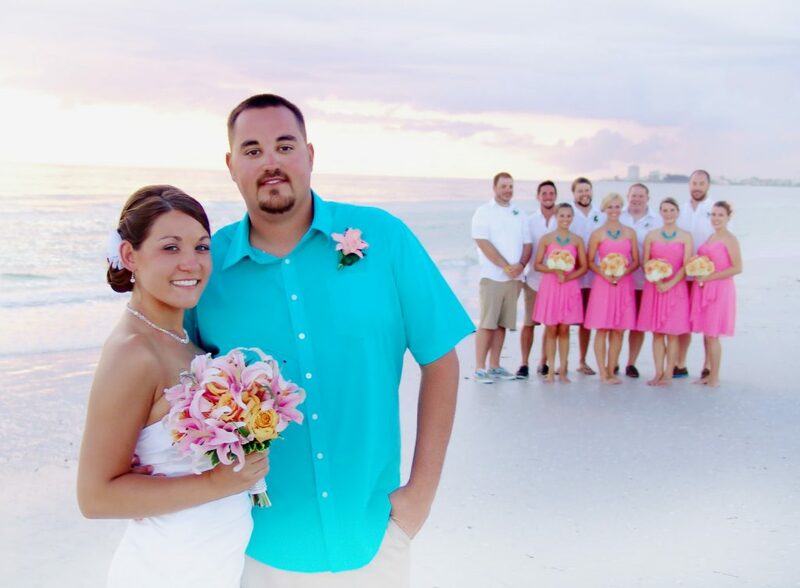 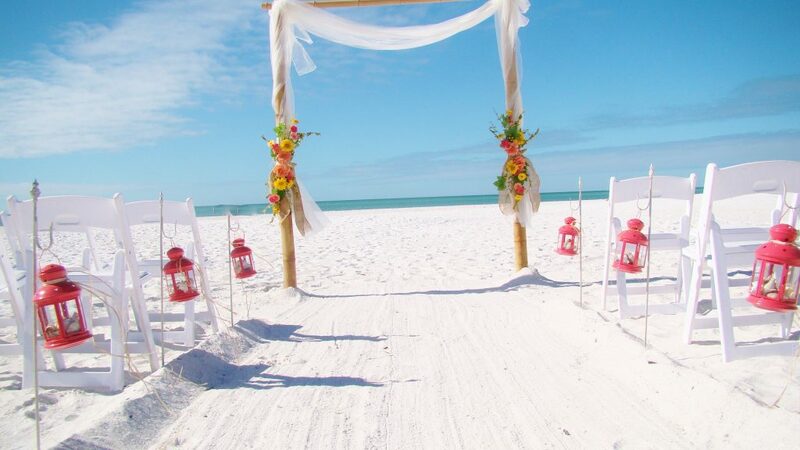 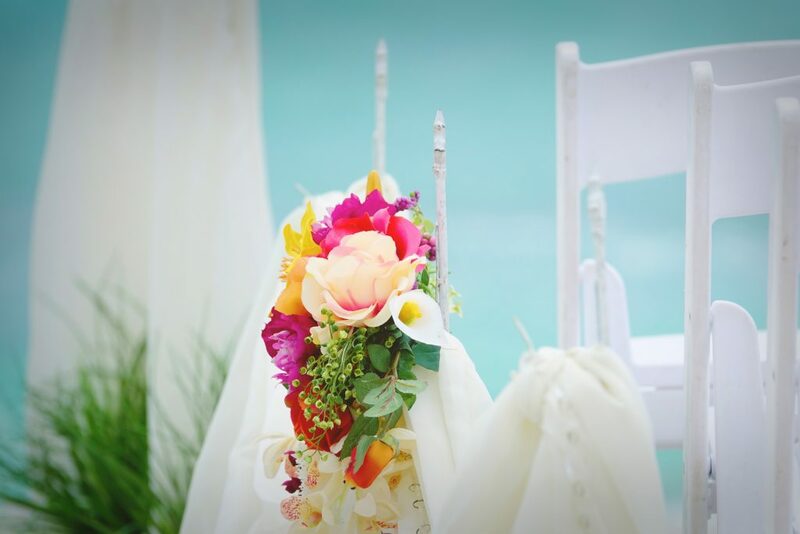 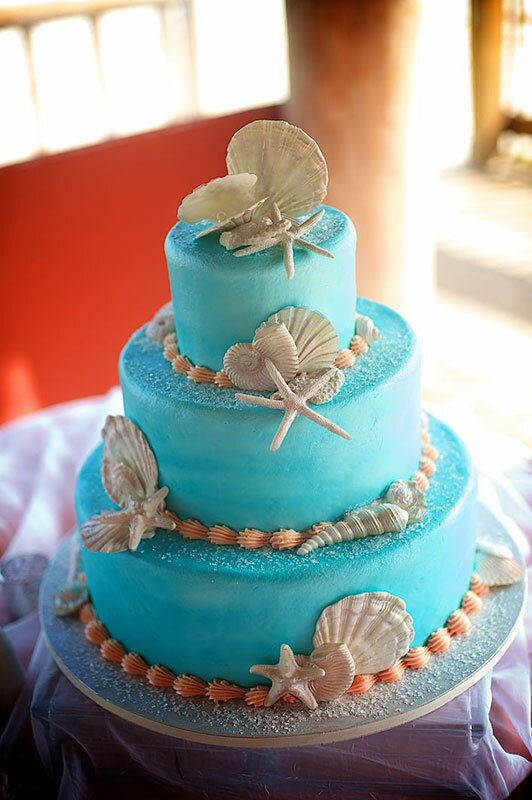 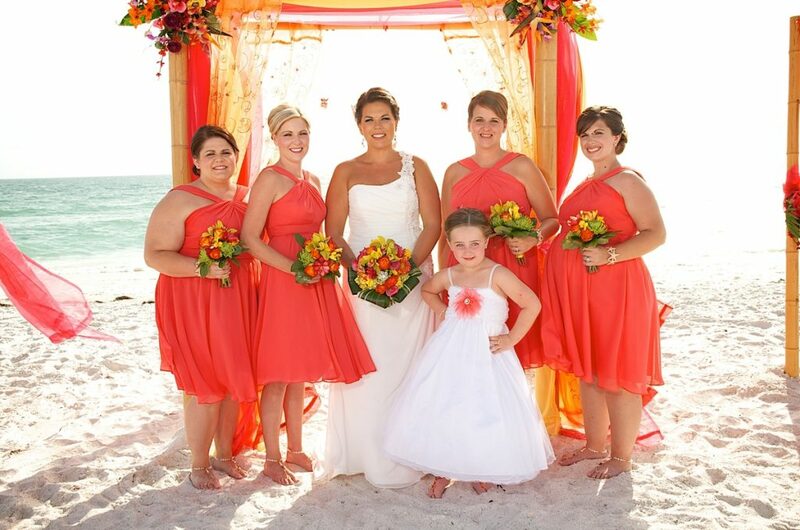 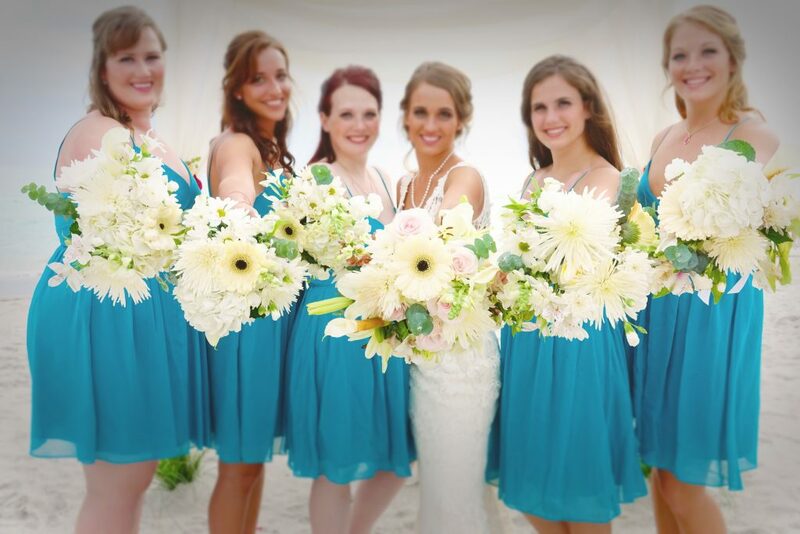 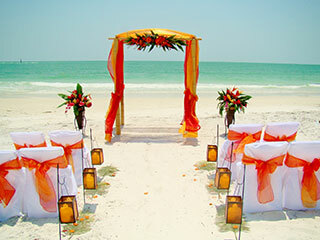 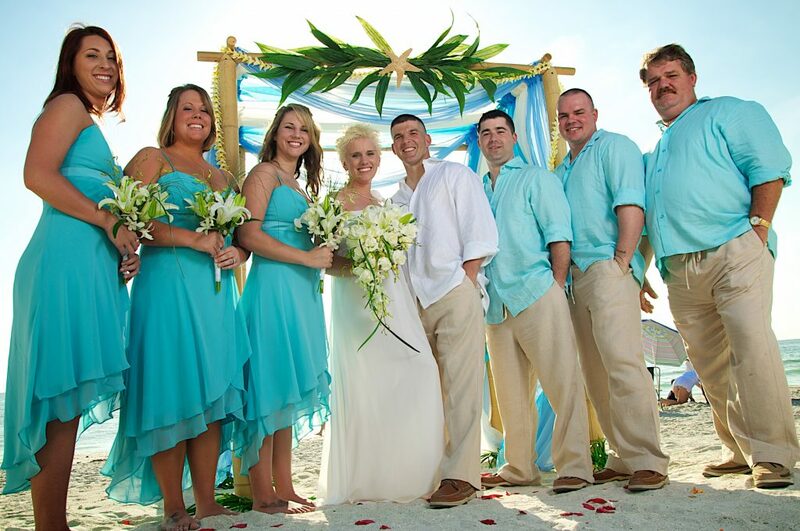 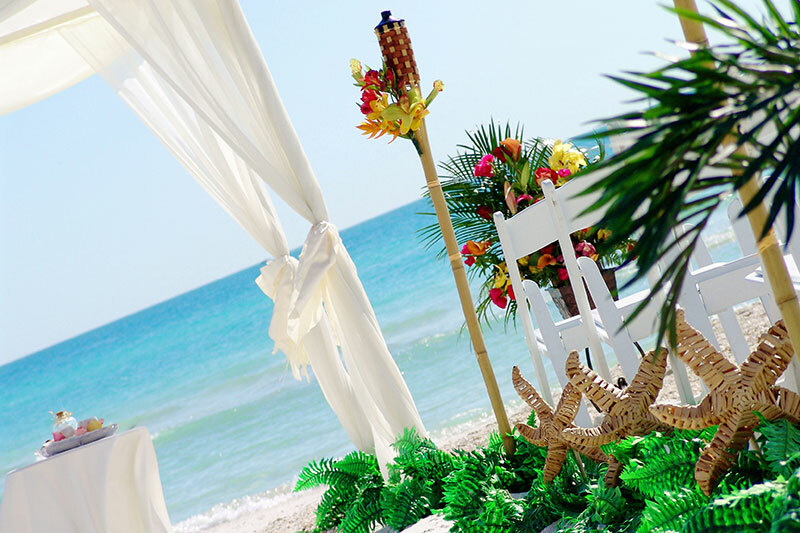 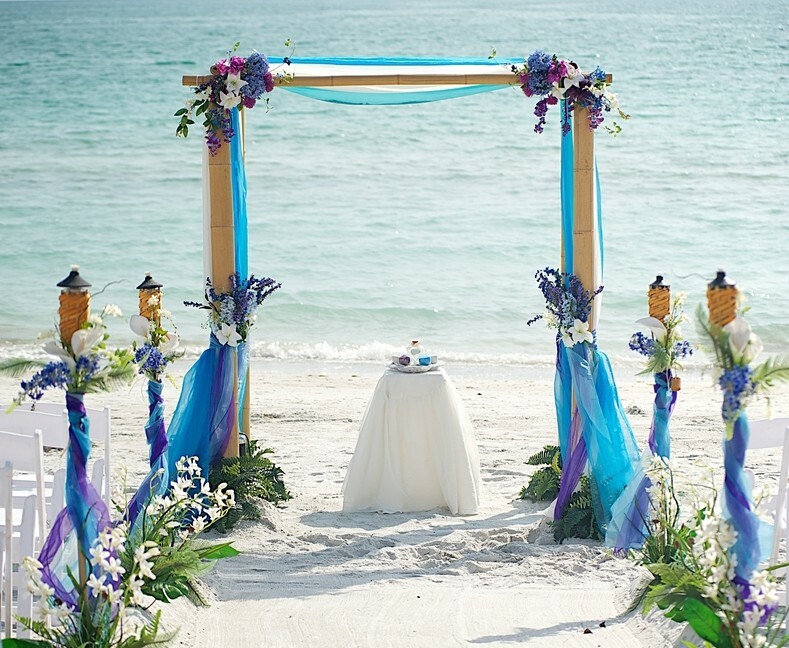 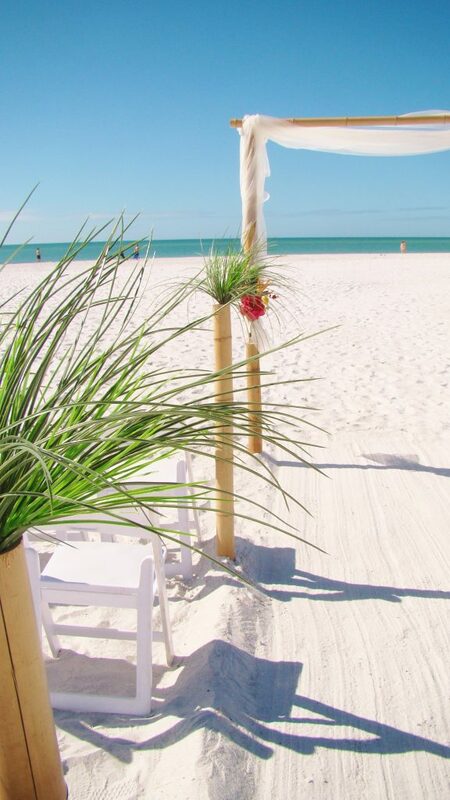 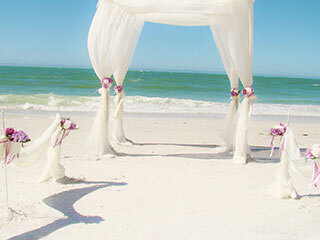 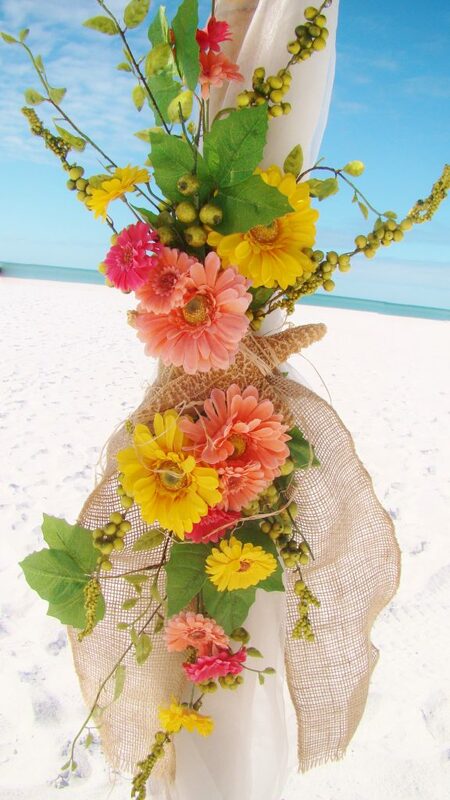 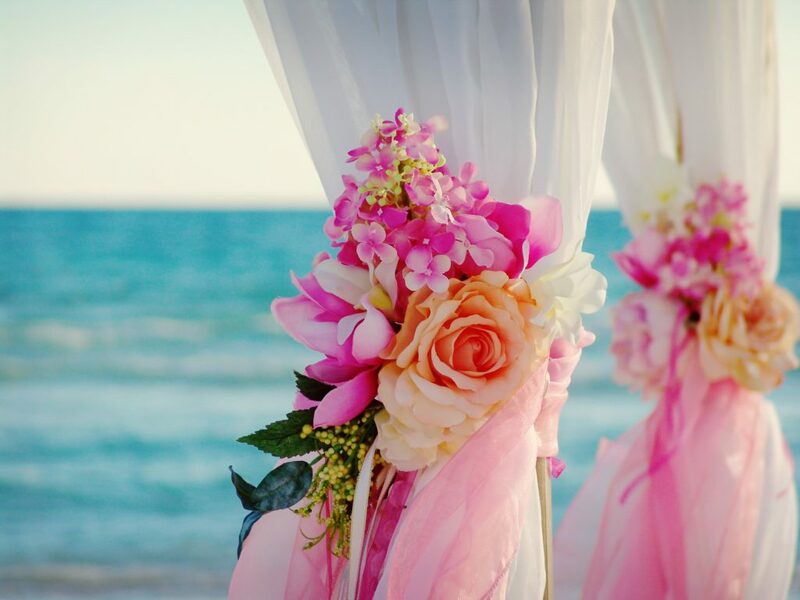 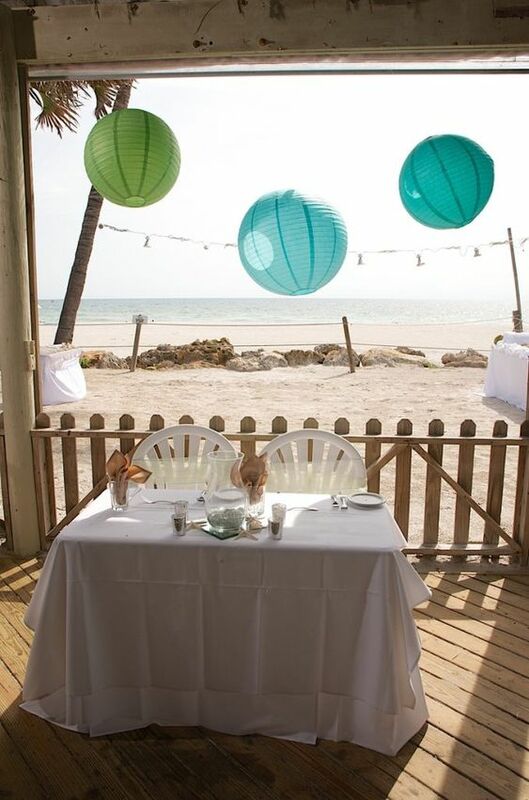 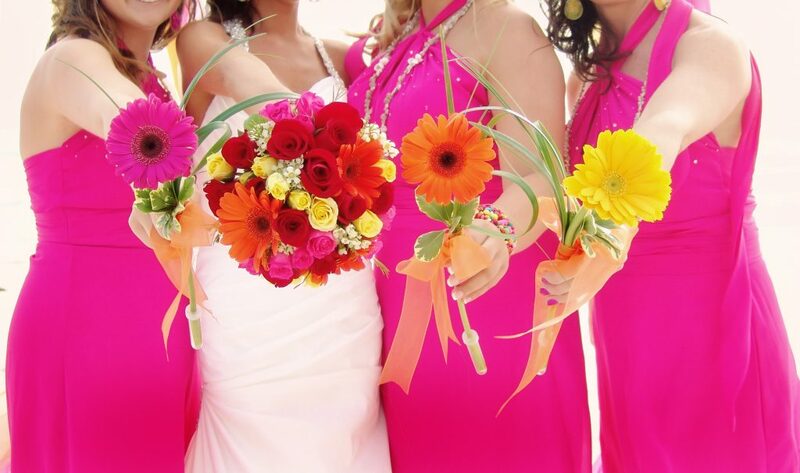 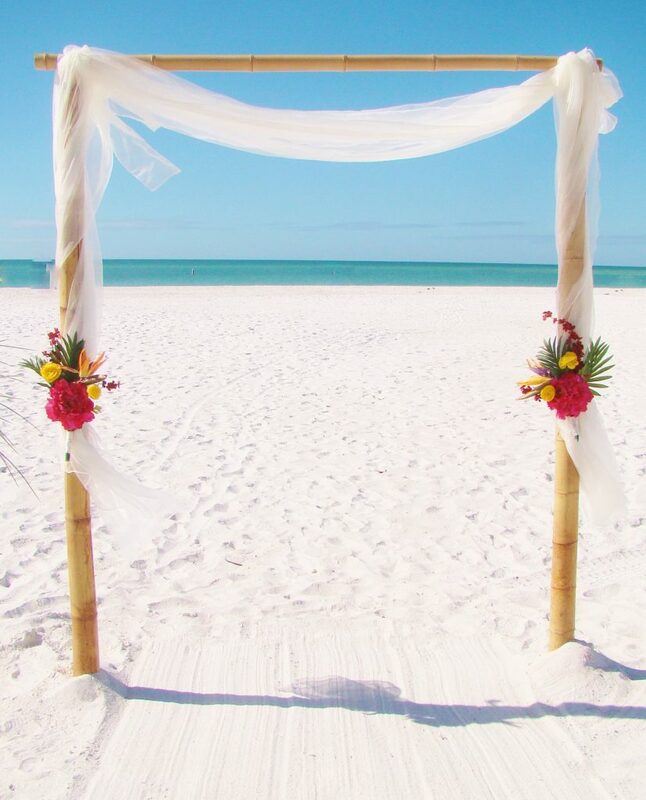 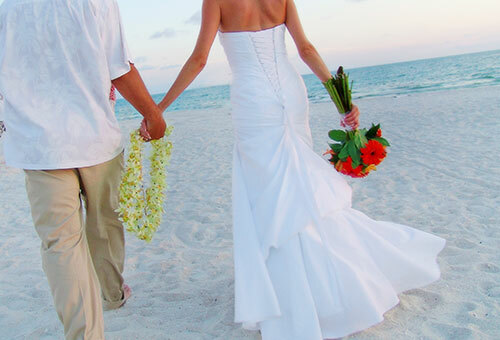 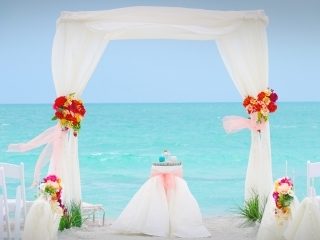 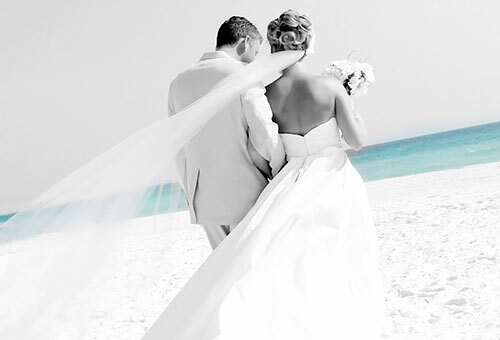 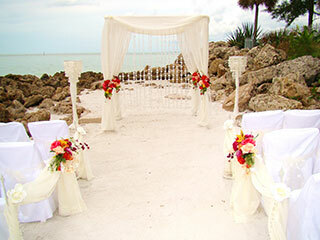 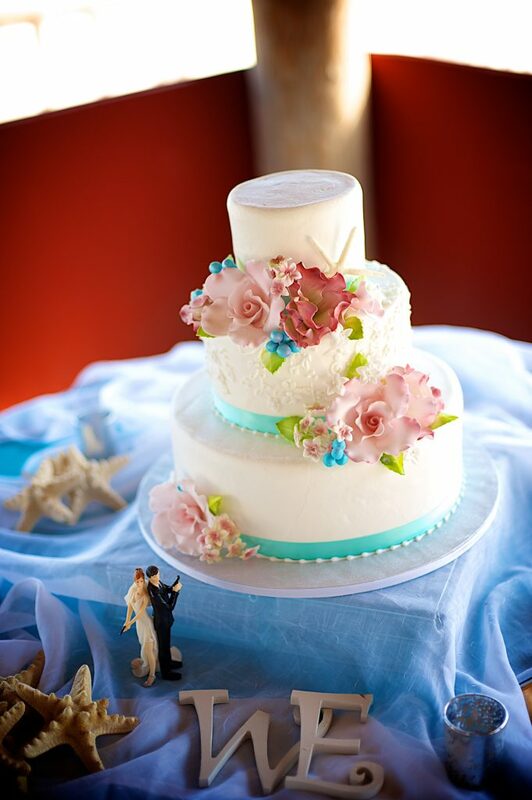 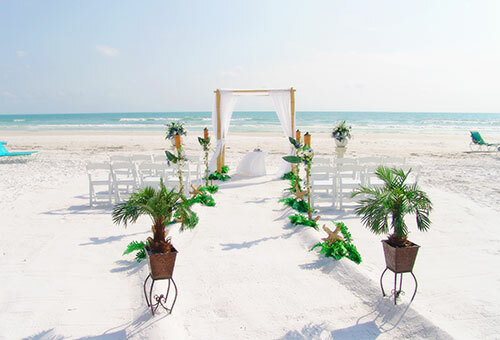 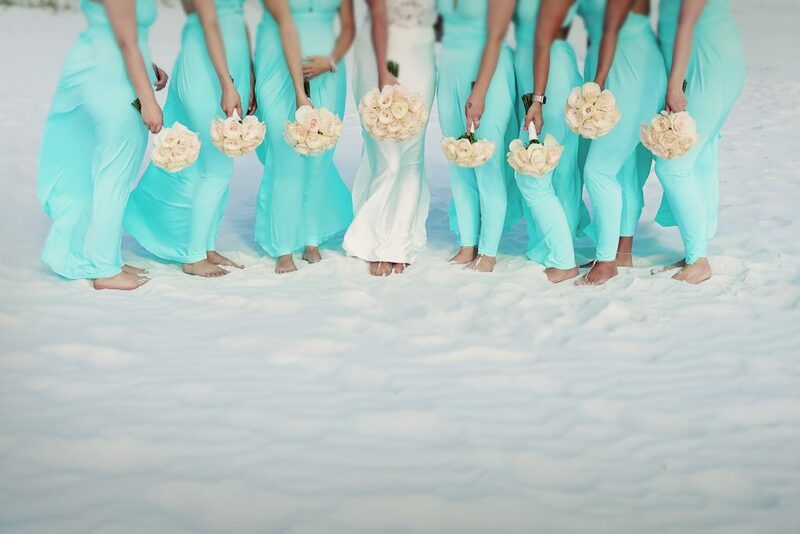 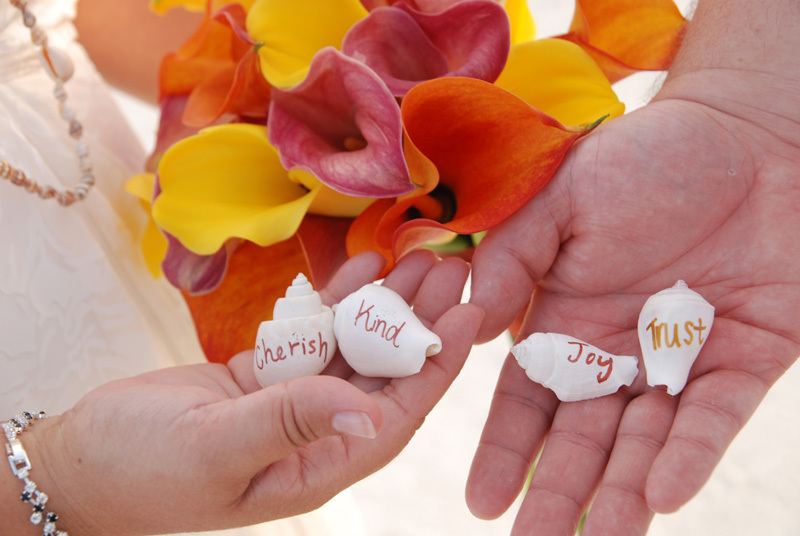 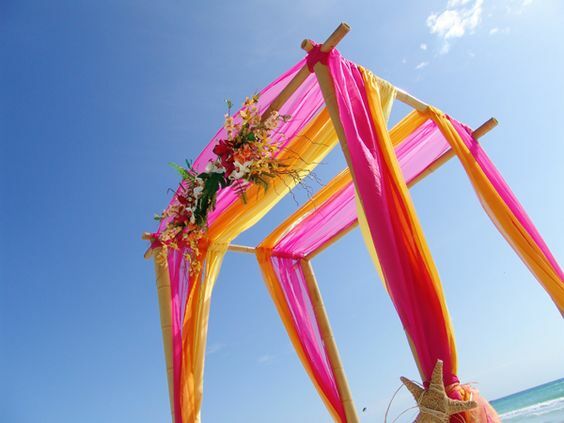 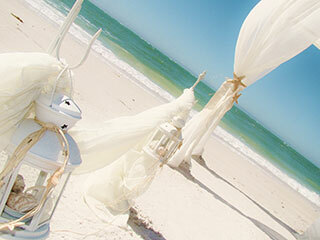 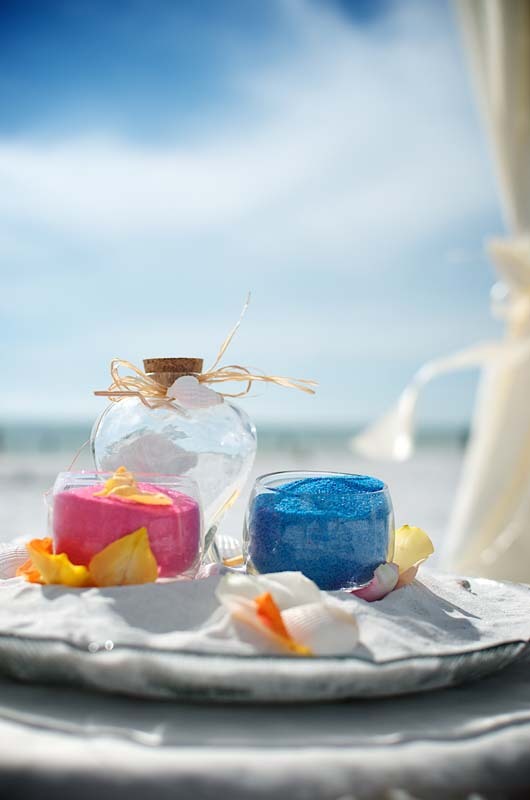 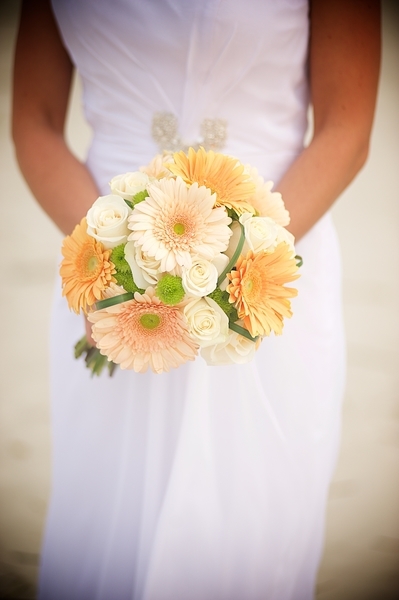 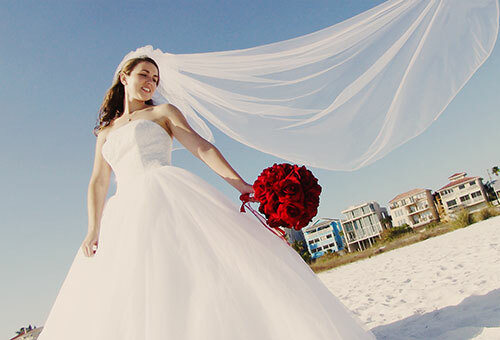 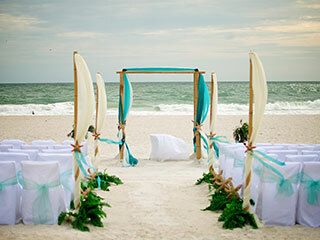 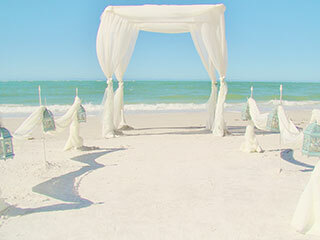 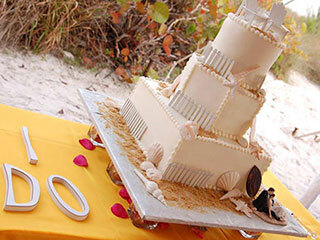 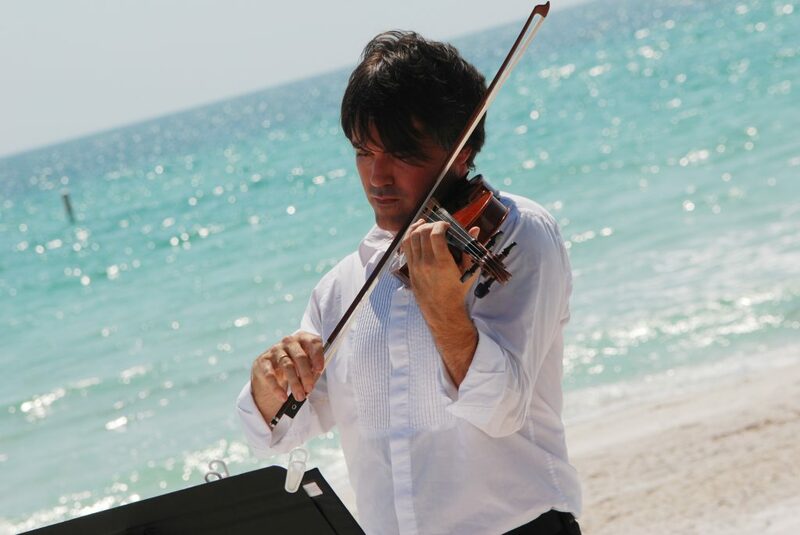 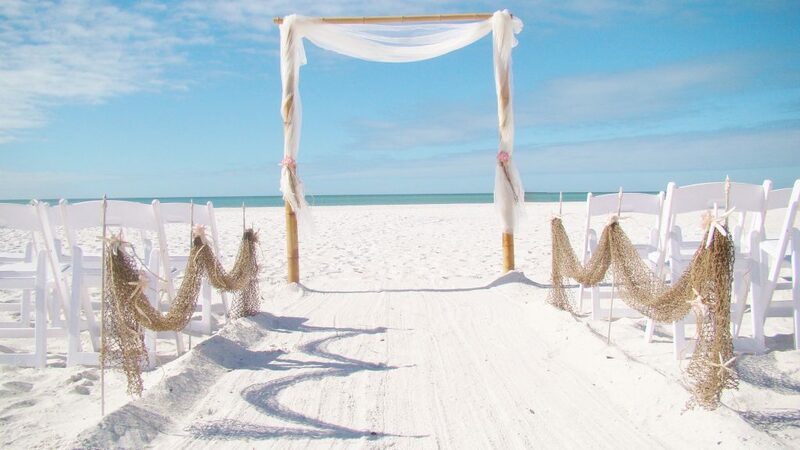 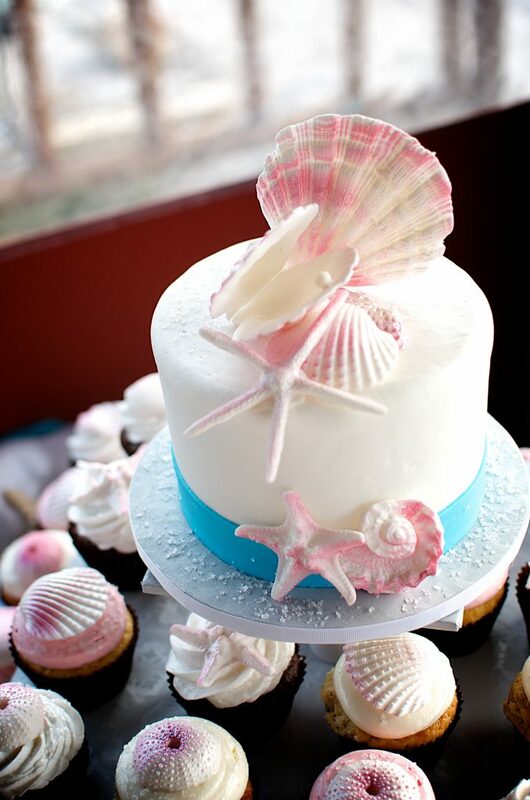 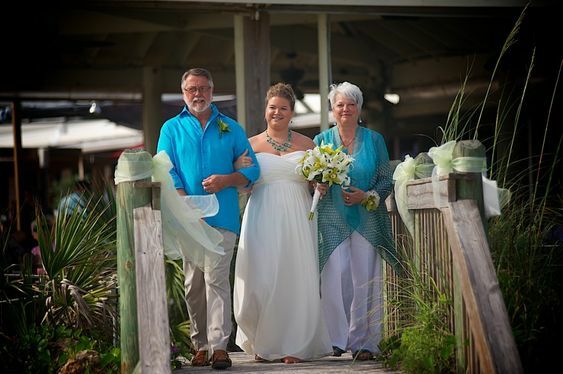 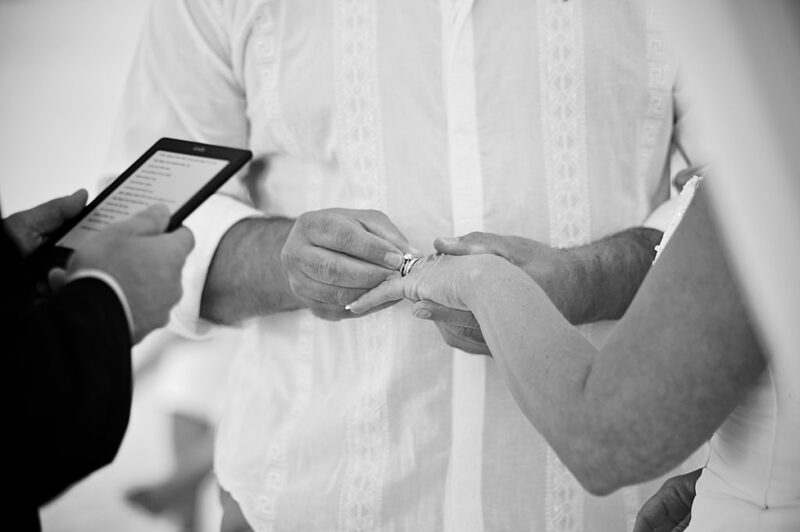 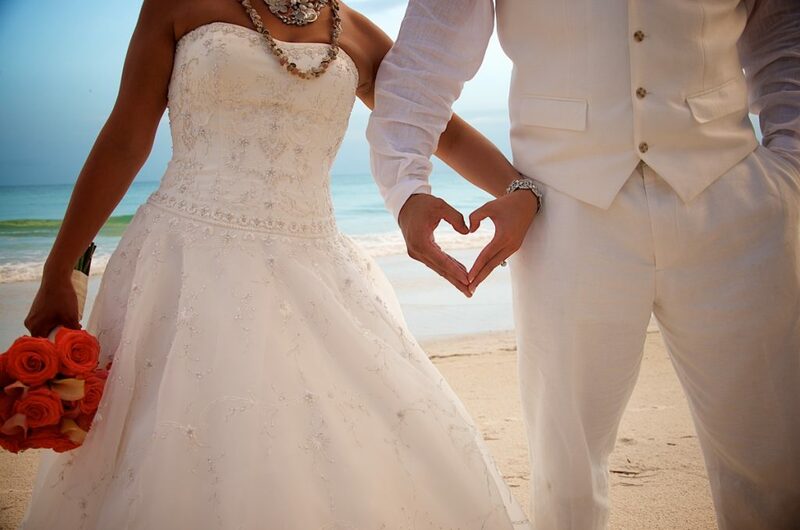 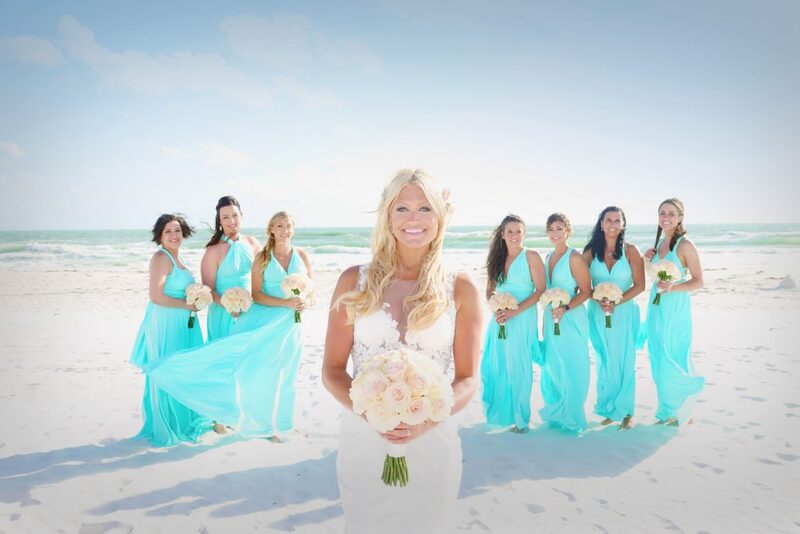 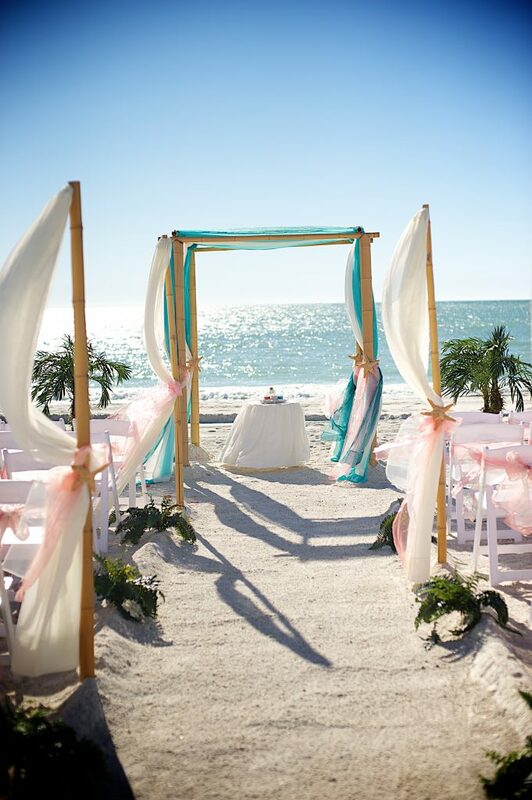 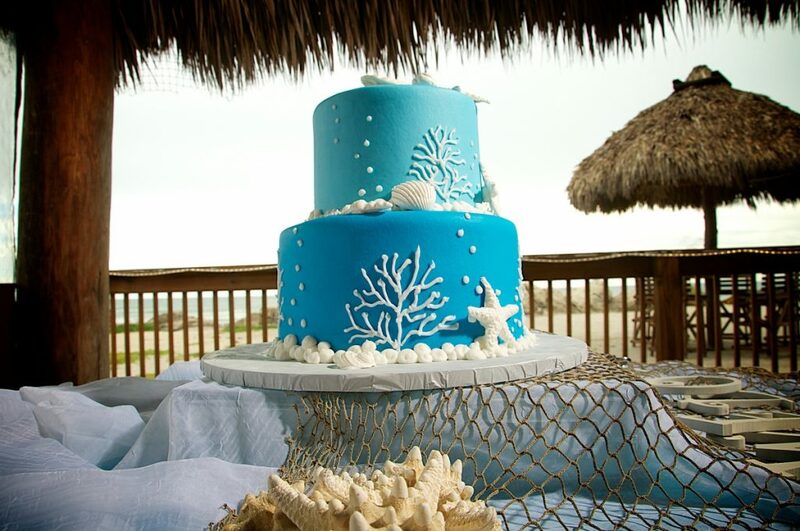 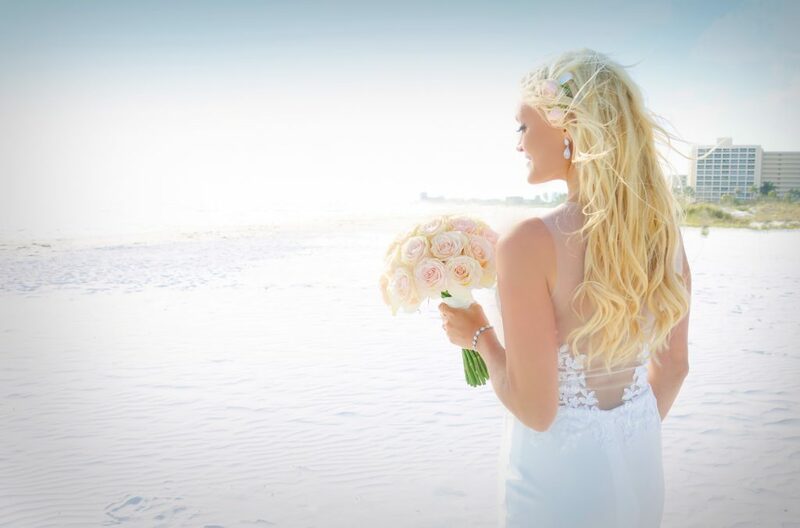 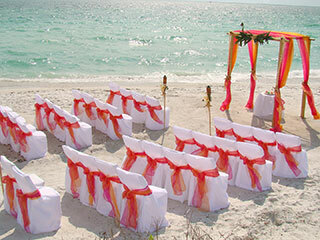 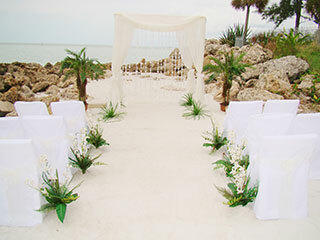 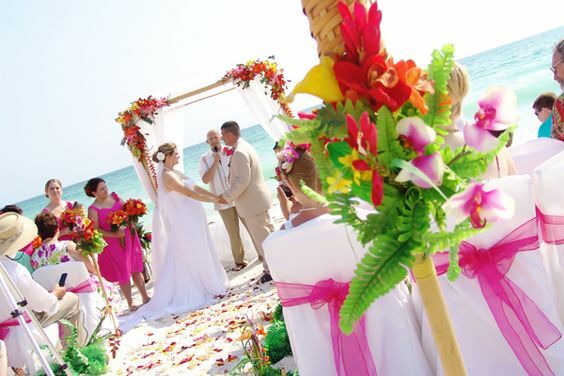 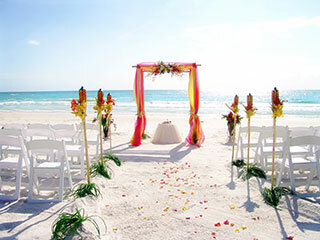 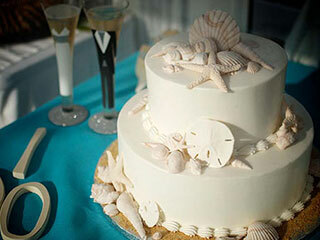 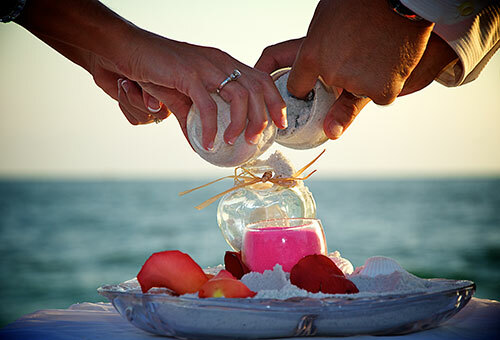 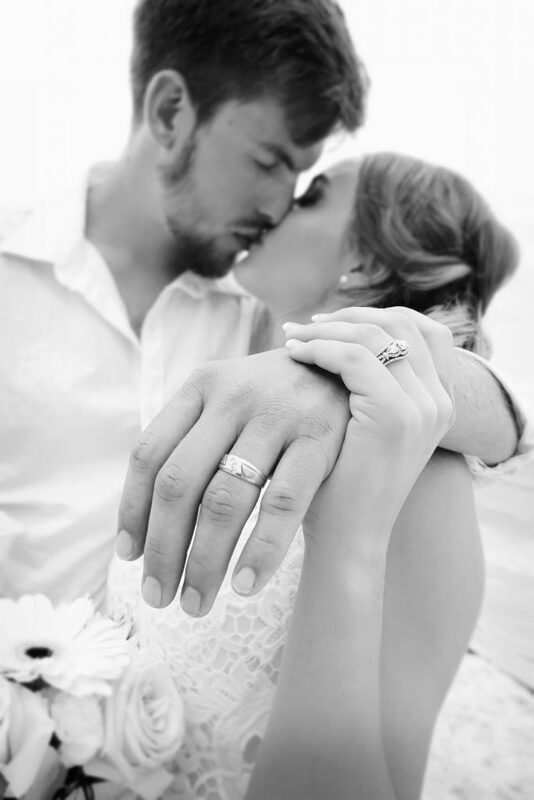 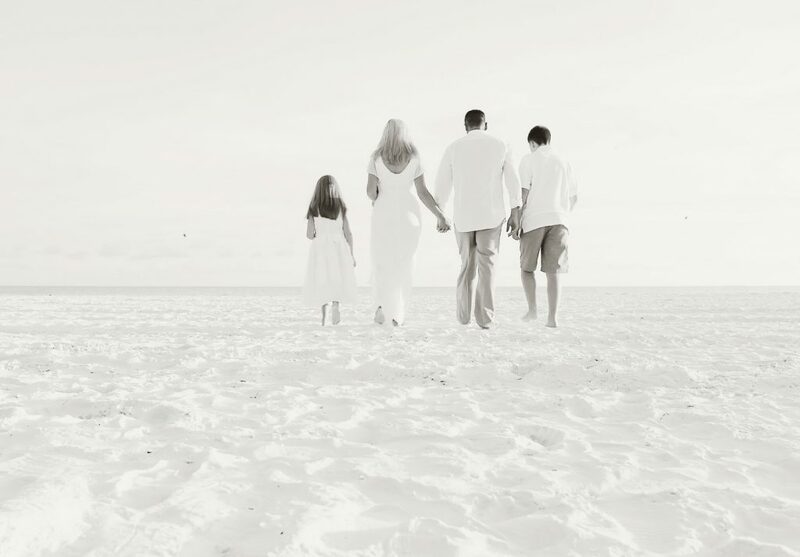 Budget friendly Siesta Key Beach wedding, includes Officiant, 2 pole bamboo arch, white chairs, sand ceremony, blessing shell toss, recorded ceremony music and ceremony coordinator. 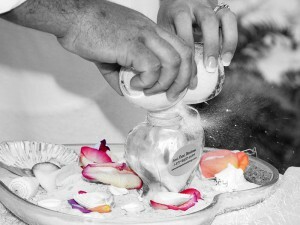 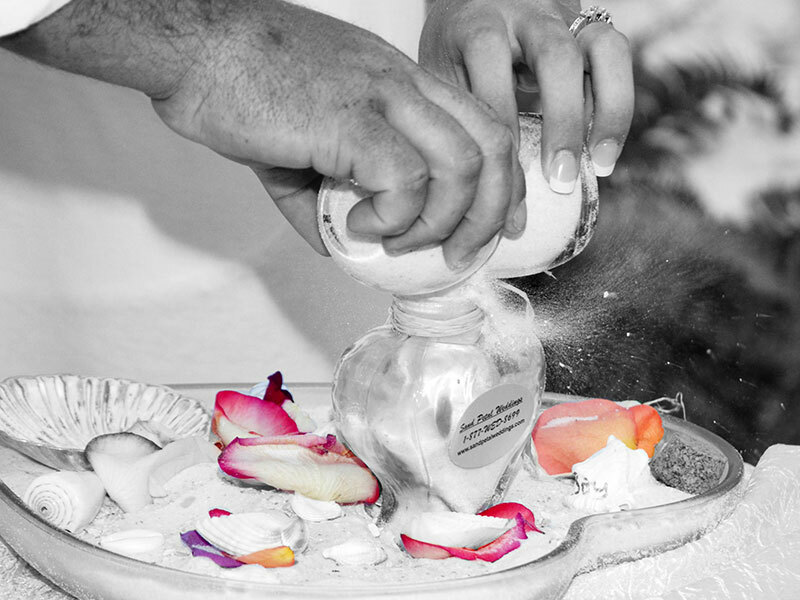 Wedding Ceremony including table at altar for Sand Ceremony w/ Keepsake Glass Heart Jar and various colored sand choices. 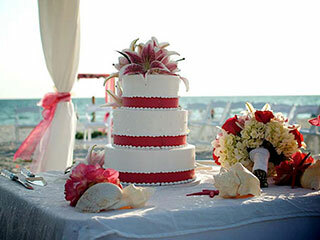 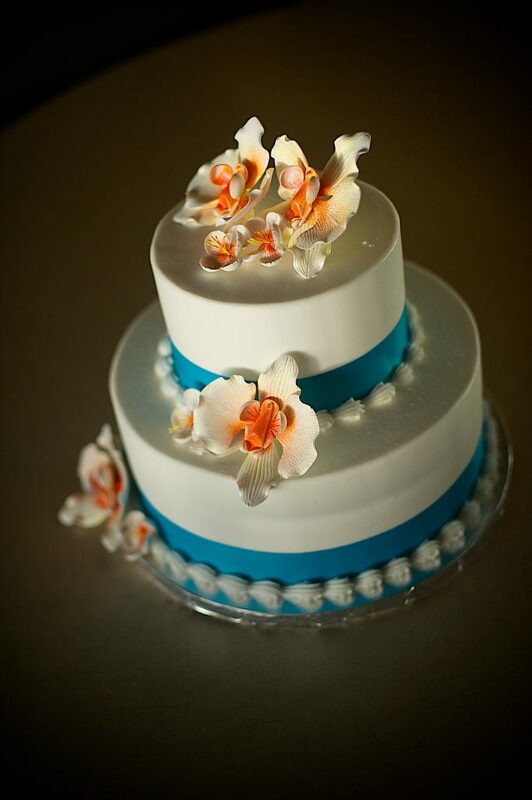 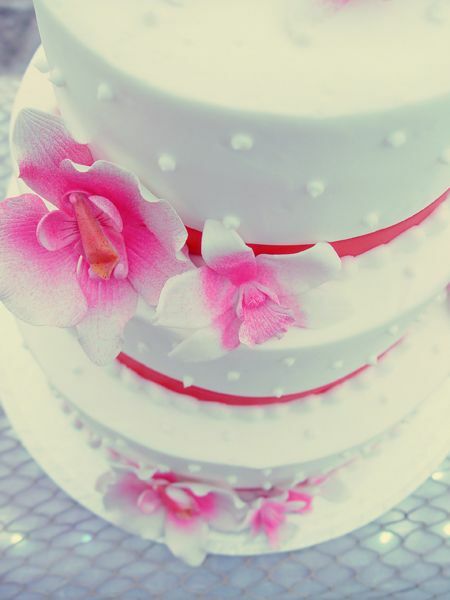 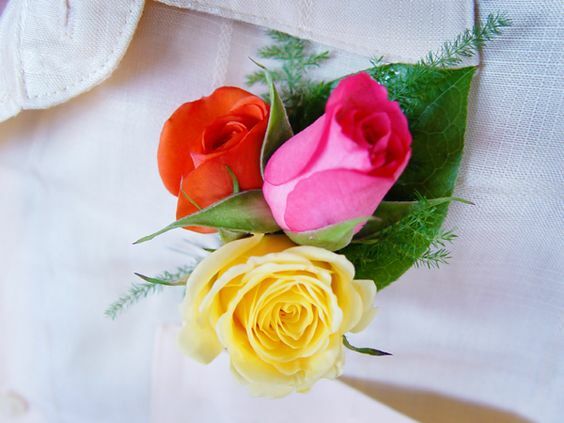 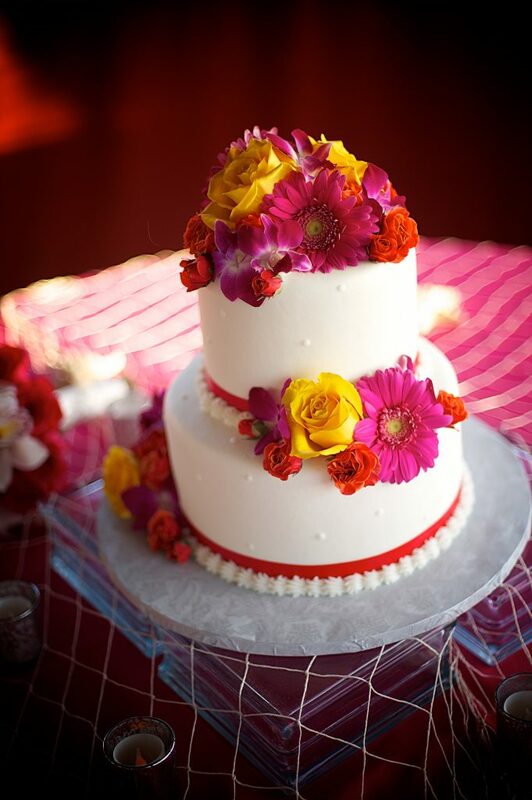 Enhance your wedding package with items from our Ala’ cart menu! 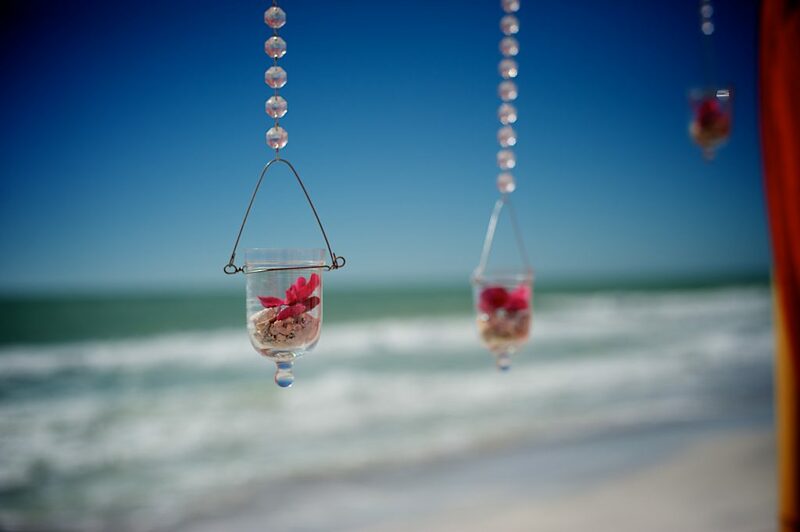 Not Available on Saturdays | Additional travel fees for beaches outside of Sarasota.